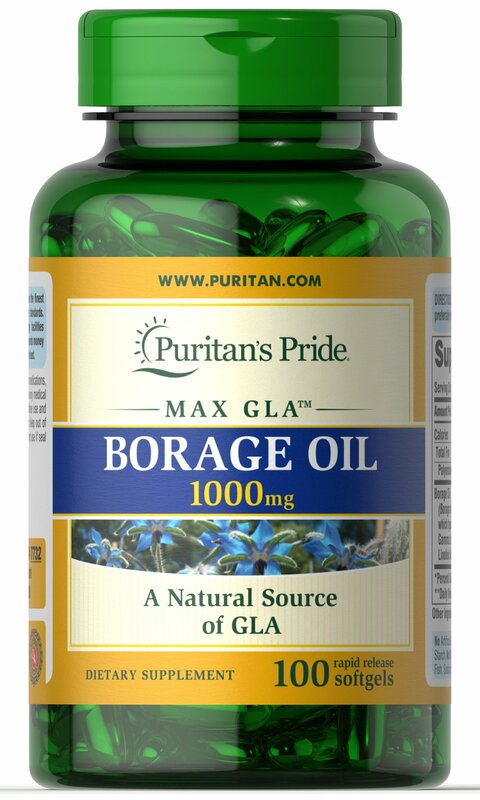 Borage Oil is an excellent plant source of the Omega-6 fatty acid Gamma Linolenic Acid (GLA). 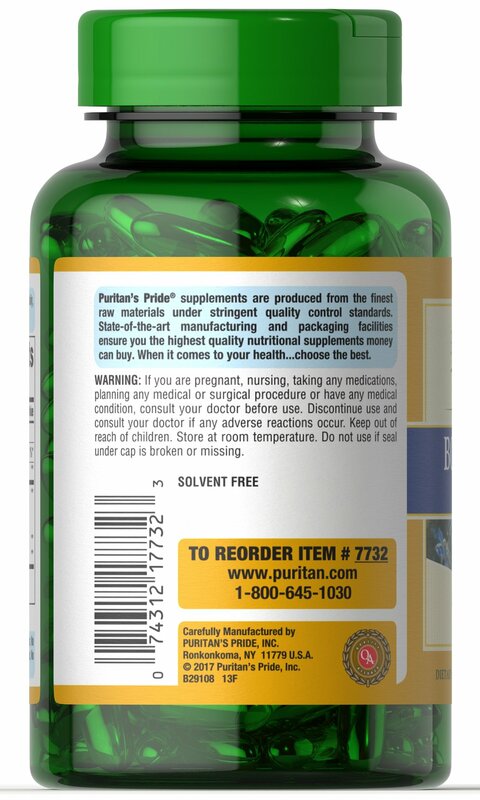 Perfect for people on low-fat diets, Borage Oil assists in the production of prostaglandins and supports cellular and metabolic health. 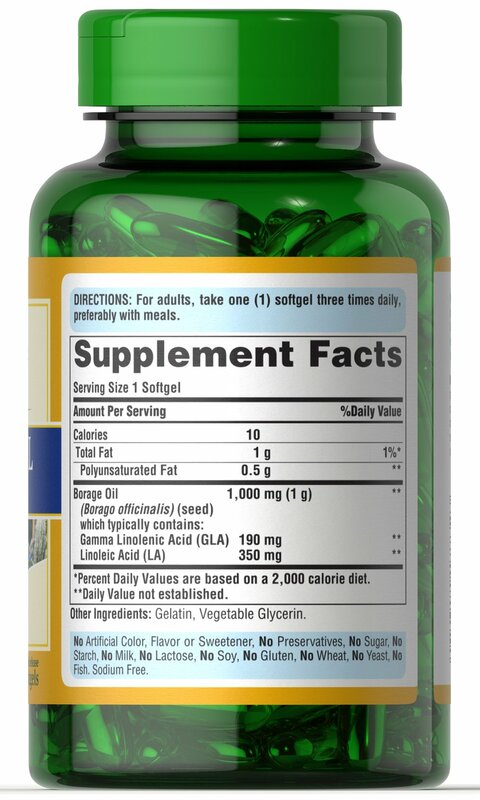 ** Research indicates that GLA is also beneficial for women’s health. 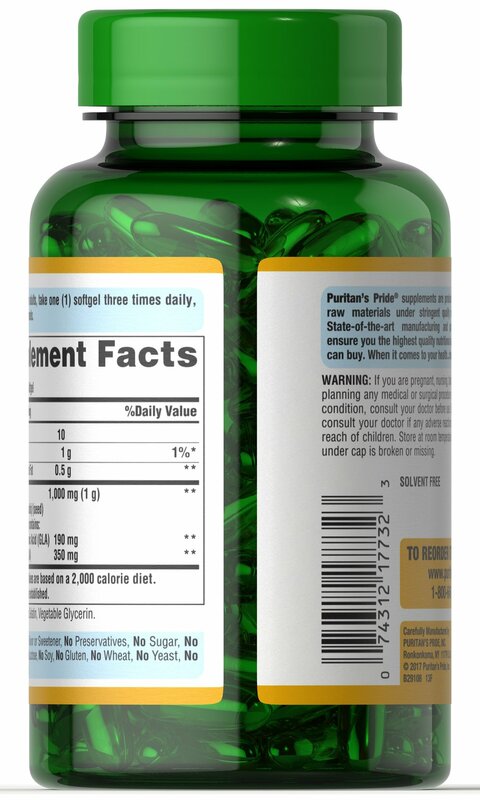 ** Our 1000 mg softgels typically contain 190 mg of GLA and 350 mg of Linoleic Acid.